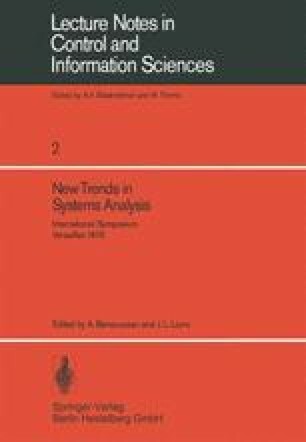 In this paper we consider a mathematical model of a transaction oriented computing system (airline reservation system, file system, data-base system, etc.) operating in the presence of intermittent failures, and with a checkpoint and roll-back recovery scheme built-in to preserve system integrity. An arbitrary distribution of inter-checkpoint times is assumed. A condition on the traffic intensity of transaction requests is established which insures that the system will not saturate. This condition is essential if meaningful simulation studies of these complex systems are to be conducted. In probabilistic terms, this is the necessary and sufficient condition for the existence of the stationary probability distribution associated with the non-Markovian queueing process representing the backlog of requets to the computer system. The model which we study and the results obtained are also new in the context of reliability theory. We are dealing with a queue with service interruptions for maintenance and for repairs of failures. The time for repair of a failure is assumed to be a function of the age of the failure with respect to the most recent maintenance epoch. Work supported by an IRIA-SESORI research contract to Université Paris-Nord.